SealPath is present at CMDA IT EXPO 2017 in Pune, India. 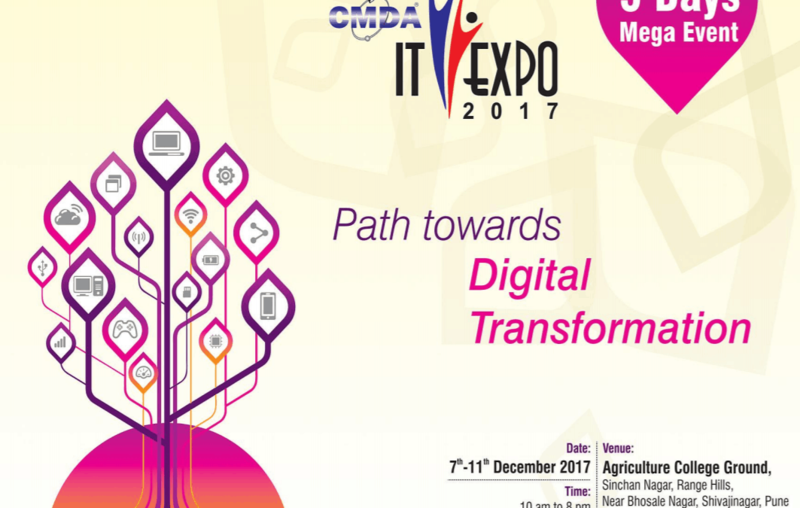 This IT Expo is organized by CMDA (Computer & Media Dealers Association), one of the premier associations of IT dealers and resellers in India. Attendees will have the opportunity to learn about the SealPath Solutions in the area of Information Rights Management and Data Centric Solutions. This year the theme of the event is “Path towards Digital Transformation” and will take place from December 7th to 11th, from 10 am to 8 pm. This Exclusive Mega IT Show with more than 40.000 visitors includes exhibitors from different technologies such as Networking, Software and Security solutions. We will be present at Booth E2-42 with our partner Ascent Group. Ascent Group team members will be showcasing SealPath and the latest features of our products.